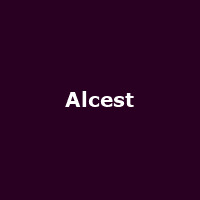 Alcest is a French post-metal band formed and fronted by singer and multi-instrumentalist, Neige in 2000. They released their debut album, "Souvenirs d'un autre monde" in 2007, followed by: "Écailles de Lune" (2010), "Les Voyages de l'Âme" (2012), "Shelter" (2014) and 2016's: "Kodama". The band was added to Meltdown for 2018.